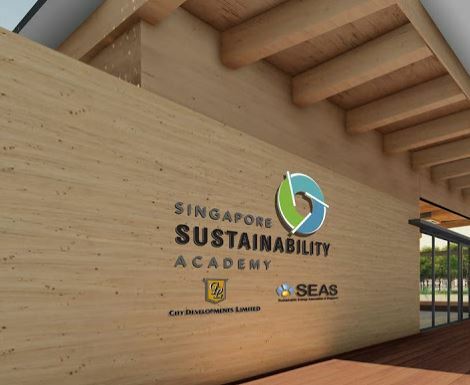 The Singapore Sustainability Academy (SSA) has been built to highest energy efficiency and green building standards and will serve as the city-state’s sustainability learning and collaboration hub, reports Climate Action. The SSA is a joint collaboration between local property developer City Developments Limited (CDL) and the non-profit Sustainability Energy Association of Singapore (SEAS). The new net-zero emission building in Singapore’s Farrer Park district opened on World Environment Day and marks the first major initiative that supports Singapore’s national sustainability goals outlined in the Sustainable Singapore Blueprint and Climate Action Plan, in addition to the country’s commitments under the Paris Agreement. The SSA will provide businesses and the public sector with a venue for learning and collaboration on how to make sustainable development work. The timber used in the building is certified highly sustainable by Nature’s Barcode System – a compliance and verification system that tracks the origin and legality of timber products in its supply chain – and provides a high level of thermal performance, limiting air-conditioning costs. The building also operates smart energy consumption monitors and sensors to ensure optimal energy efficient levels at all times. The 3,200 square feet of solar photovoltaic panels on the academy’s roof will generate enough renewable energy to power the entire building, producing 60,000 kilowatt hours (kWh) per year. The building is projected to consume just 50,000 kWh per year, making the Singapore Sustainability Academy carbon negative.